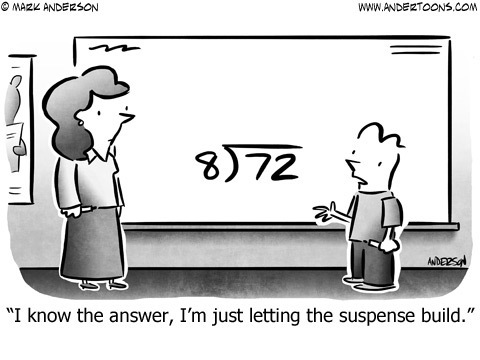 And then I noticed there were a bunch of comic strips with some kind of mathematical theme on the same day. Always fun when that happens. Bill Holbrook’s On The Fastrack uses one of Holbrook’s common motifs. That’s the depicting as literal some common metaphor. in this case it’s “massaging the numbers”, which might seem not strictly mathematics. But while numbers are interesting, they’re also useful. To be useful they must connect to something we want to know. They need context. That context is always something of human judgement. If the context seems inappropriate to the listener, she thinks the presenter is massaging the numbers. If the context seems fine, we trust the numbers as showing something truth. Bill Holbrook’s On The Fastrack for the 5th of December, 2018. Essays inspired by On The Fastrack appear at this link. Scott Hilburn’s The Argyle Sweater is a seasonal pun that couldn’t wait for a day closer to Christmas. I’m a little curious why not. It would be the same joke with any subject, certainly. The strip did make me wonder if Ebeneezer Scrooge, in-universe, might have taken calculus. This lead me to see that it’s a bit vague what, precisely, Scrooge, or Scrooge-and-Marley, did. The movies are glad to position him as having a warehouse, and importing and exporting things, and making and collecting on loans and whatnot. These are all trades that mathematicians would like to think benefit from knowing advanced mathematics. The logic of making loans implies attention be paid to compounding interest, risks, and expectation values, as well as projecting cash-flow a fair bit into the future. But in the original text he doesn’t make any stated loans, and the only warehouse anyone enters is Fezziwig’s. Well, the Scrooge and Marley sign stands “above the warehouse door”, but we only ever go in to the counting-house. And yes, what Scrooge does besides gather money and misery is irrelevant to the setting of the story. Scott Hilburn’s The Argyle Sweater for the 5th of December, 2018. Some of the many times I’ve talked about The Argyle Sweater appear at this link. Teresa Burritt’s Dadaist strip Frog Applause uses knowledge of mathematics as an emblem of intelligence. “Multivariate analysis” is a term of art from statistics. It’s about measuring how one variable changes depending on two or more other variables. The goal is obvious: we know there are many things that influence anything of interest. Can we find what things have the strongest effects? The weakest effects? There are several ways we might mean “strongest” effect, too. It might mean that a small change in the independent variable produces a big change in the dependent one. Or it might mean that there’s very little noise, that a change in the independent variable produces a reliable change in the dependent one. Or we might have several variables that are difficult to measure precisely on their own, but with a combination that’s noticeable. The basic calculations for this look a lot like those for single-variable analysis. But there’s much more calculation. It’s more tedious, at least. My reading suggests that multivariate analysis didn’t develop much until there were computers cheap enough to do the calculations. Might be coincidence, though. Many machine-learning techniques can be described as multivariate analysis problems. Teresa Burritt’s Frog Applause for the 5th of December, 2018. Essays with reason to mention Frog Applause should be at this link. Greg Evans’s Luann Againn is a Pi Day joke from before the time when Pi Day was a thing. Brad’s magazine flipping like that is an unusual bit of throwaway background humor for the comic strip. Greg Evans’s Luann Againn for the 5th of December, 2018. This originally ran the 5th of December, 1990. Essays which mention Luann , current-day or 1990-vintage rerun, appear at this link. Doug Savage’s Savage Chickens is a bunch of shape jokes. Since I was talking about tiling the plane so recently the rhombus seemed on-point enough. I’m think the irregular heptagon shown here won’t tile the plane. But given how much it turns out I didn’t know, I wouldn’t want to commit to that. Doug Savage’s Savage Chickens for the 5th of December, 2018. Essays that mention Savage Chickens are at this link. I’m working hard on a latter ‘X’ essay for my Fall 2018 Mathematics A To Z glossary. That should appear on Friday. And there should be another Reading the Comics post later this week, at this link. 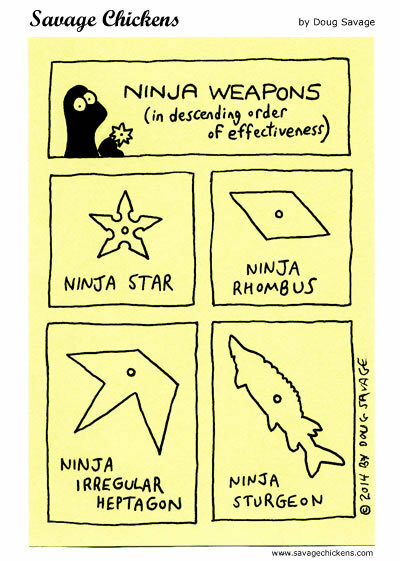 And now I can bring last week’s mathematically-themed comics into consideration here. Including the whole images hasn’t been quite as much work as I figured. But that’s going to change, surely. One of about four things I know about life is that if you think you’ve got your workflow set up to where you can handle things you’re about to be surprised. Can’t wait to see how this turns out. John Deering’s Strange Brew for the 22nd is edging its way toward an anthropomorphic numerals joke. John Deering’s Strange Brew for the 22nd of March, 2018. I like to think she was wearing something from the Gary Larson collection. Brant Parker and Johnny Hart’s Wizard of Id for the 22nd is a statistics joke. Really a demographics joke. Which still counts; much of the historical development of statistics was in demographics. That it was possible to predict accurately the number of people in a big city who’d die, and what from, without knowing anything about whether any particular person would die was strange and astounding. It’s still an astounding thing to look directly at. Brant Parker and Johnny Hart’s Wizard of Id for the 25th of March 1968, and rerun the 22nd of March, 2018. That’s an interesting demographic the Kingdom of Id has there. Just saying. Hilary Price and Rina Piccolo’s Rhymes with Orange for the 23rd has the form of a story problem. I could imagine turning this into a proper story problem. You’d need some measure of how satisfying the 50-dollar wines are versus the 5-dollar wines. Also how much the wines affect people’s ability to notice the difference. You might be able to turn this into a differential equations problem, but that’s probably overkill. Hilary Price and Rina Piccolo’s Rhymes with Orange for the 23rd of March, 2018. Fortunately, one of Laura’s guests brought Jesus of Nazareth along as his `plus one’. Mark Anderson’s Andertoons for the 23rd is Mark Anderson’s Andertoons for this half of the week. 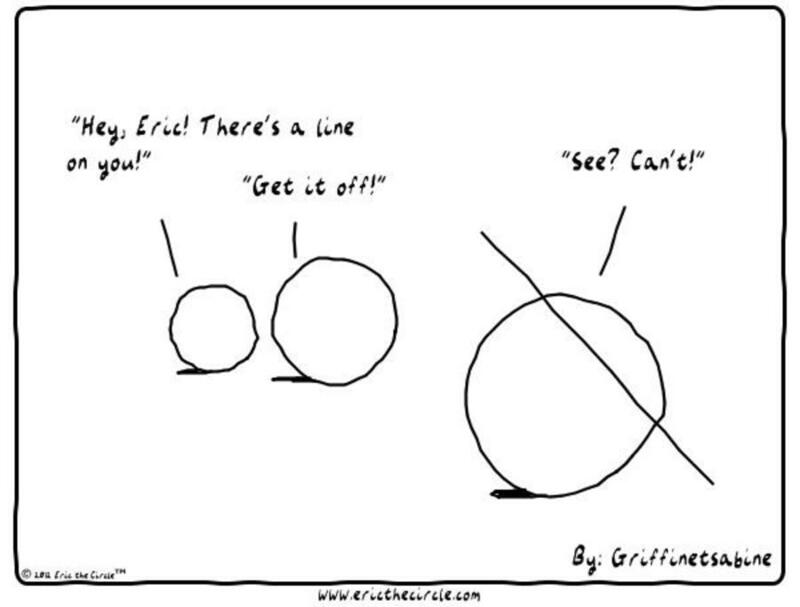 It’s a student-avoiding-the-problem joke. Could be any question. But arithmetic has the advantages of being plausible, taking up very little space to render, and not confusing the reader by looking like it might be part of the joke. Mark Anderson’s Andertoons for the 23rd of March, 2018. Yeah, don’t try this with your thesis committee. Word to the wise. John Zakour and Scott Roberts’s Working Daze for the 23rd has another cameo appearance by arithmetic. It’s also a cute reminder that there’s no problem you can compose that’s so simple someone can’t over-think it. And it puts me in mind of the occasional bit where a company’s promotional giveaway will technically avoid being a lottery by, instead of awarding prizes, awarding the chance to demonstrate a skill. Demonstration of that skill, such as a short arithmetic quiz, gets the prize. It’s a neat bit of loophole work and does depend, as the app designers here do, on the assumption there’s some arithmetic that people can be sure of being able to do. Teresa Burritt’s Frog Applause for the 24th is its usual bit of Dadist nonsense. But in the talk about black holes it throws in an equation: . This is some mathematics about black holes, legitimate and interesting. It is the entropy of a black hole. The dazzling thing about this is all but one of those symbols on the right is the same for every black hole. ‘c’ is the speed of light, as in ‘E = mc2‘. G is the gravitational constant of the universe, a measure of how strong gravity is. is Planck’s constant, a kind of measure of how big quantum mechanics effects are. ‘k’ is the Boltzmann constant, which normal people never heard of but that everyone in physics and chemistry knows well. It’s what you multiply by to switch from the temperature of a thing to the thermal energy of the thing, or divide by to go the other way. It’s the same number for everything in the universe. Teresa Burritt’s Frog Applause for the 24th of March, 2018. Honestly surprised I didn’t see talk about striped-pants direality in Zippy the Pinhead first. The only thing custom to a particular black hole is ‘A’, which is the surface area of the black hole. I mean the surface area of the event horizon. Double the surface area of the event horizon and you double its entropy. (This isn’t doubling the radius of the event horizon, but you know how much growth in the radius it is.) Also entropy. Hm. Everyone who would read this far into a pop mathematics blog like this knows that entropy is “how chaotic a thing is”. Thanks to people like Boltzmann we can be quantitative, and give specific and even exact numbers to the entropy of a system. It’s still a bit baffling since, superficially, a black hole seems like it’s not at all chaotic. It’s a point in space that’s got some mass to it, and maybe some electric charge and maybe some angular momentum. That’s about it. How messy can that be? It doesn’t even have any parts. This is how we can be pretty sure there’s stuff we don’t understand about black holes yet. Also about entropy. This strip might be an oblique and confusing tribute to Dr Stephen Hawking. The entropy formula described was demonstrated by Drs Jacob Bekenstein and Stephen Hawking in the mid-1970s. Or it might be coincidence. The week started out quite busy and I was expecting I’d have to split my essay again. It didn’t turn out that way; Comic Strip Master Command called a big break on mathematically-themed comics from Tuesday on. And then nobody from Comics Kingdom or from Creators.com needed inclusion either. I just have a bunch of GoComics links and a heap of text here. I bet that changes by next week. Still no new Jumble strips. Brian Boychuk and Ron Boychuk’s The Chuckle Brothers for the 22nd was their first anthropomorphic numerals joke of the week. Kevin Fagan’s Drabble for the 22nd uses arithmetic as the sort of problem it’s easy to get clearly right or clearly wrong. It’s a more economical use of space than (say) knowing how many moons Saturn’s known to have. (More than we thought there were as long ago as Thursday.) I do like that there’s a decent moral to this on the way to the punch line. Bill Amend’s FoxTrot for the 22nd has Jason stand up for “torus” as a better name for doughnuts. You know how nerdy people will like putting a complicated word onto an ordinary thing. But there are always complications. A torus ordinarily describes the shape made by rotating a circle around an axis that’s in the plane of the circle. The result is a surface, though, the shell of a doughnut and none of the interior. If we’re being fussy. I don’t know of a particular name for the torus with its interior and suspect that, if pressed, a mathematician would just say “torus” or maybe “doughnut”. We can talk about toruses in two dimensions; those look just like circles. The doughnut-shell shape is a torus in three dimensions. There’s torus shapes made by rotating spheres, or hyperspheres, in four or more dimensions. I’m not going to draw them. And we can also talk about toruses by the number of holes that go through them. If a normal torus is the shape of a ring-shaped pool toy, a double torus is the shape of a two-seater pool toy, a triple torus something I don’t imagine exists in the real world. A quadruple torus could look, I imagine, like some pool toys Roller Coaster Tycoon allows in its water parks. I’m saying nothing about whether they’re edible. Brian Boychuk and Ron Boychuk’s The Chuckle Brothers for the 23rd was their second anthropomorphic numerals joke of the week. I suppose sometimes you just get an idea going. Mikael Wulff and Anders Morgenthaler’s TruthFacts for the 23rd jokes about mathematics skills versus life. The growth is fine enough; after all, most of us are at, or get to, our best at something while we’re training in it or making regular use of it. So the joke peters out into the usual “I never use mathematics in real life” crack, which, eh. I agree it’s what I feel like my mathematics skills have done ever since I got my degree, at any rate. Teresa Burritt’s Frog Applause for the 24th describes an extreme condition which hasn’t been a problem for me. I’m not an overindulgey type. Randy Glasbergen’s Glasbergen Cartoons rerun for the 26th is the pie chart joke for this week. Michael Fry’s Committed rerun for the 28th just riffs on the escalation of hyperbole, and what sure looks like an exponential growth of hyperbolic numbers. There’s a bit of scientific notation in the last panel. The “1 x” part isn’t necessary. It doesn’t change the value of the expression “1 x 1026”. But it might be convenient to use the “1 x” anyway. Scientific notation is about separating the size of the number from the interesting digits that the number has. Often when you compare numbers you’re interested in the size or else you’re interested in the important digits. Get into that habit and it’s not worth making an exception just because the interesting digits turn out to be boring in this case.